Moisturizing and antiperspirant emulsion roll on for daily care. All skin types. Moisturizing (urea ISDIN), antibacterial protection (triclosan), damp elimination (talc microparticles). 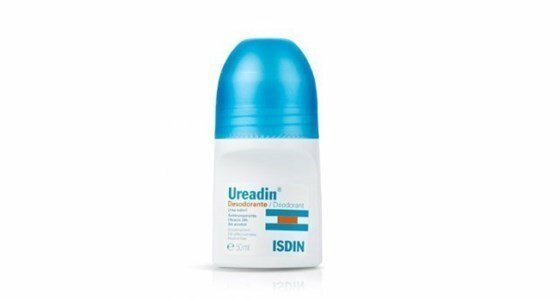 Urea ISDIN is a molecule with proven results in hydration and exfoliation. Reduces transepidermic water loss maintaining optimal hydration levels, promotes cell renewal and features natural peeling effect. Ureadin range improves barrier function, enhances the immune system and activates elastin production, giving skin flexibility.